3.8 out of 5 based on 45 bloggers and 4 commenters. You need to modify the date in order to make the countdown work. Check the template settings. 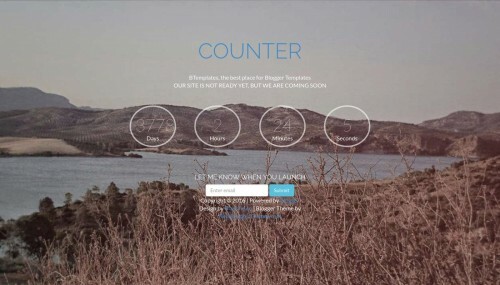 Counter is a free blogger template adapted from WordPress with 1 column, responsive design and slider. Excellent template for blogs about any general topic or launch a new blog. Thanks for making it adaptatif!